…..we have a conclusive love/hate relationship with the internet. There is no doubt that people flock to trading for income of various kinds, whether it be full-time or partial / supplemental, yet few people tend to realize what real traders are actually getting paid. In futures, forex, and now, crypto, we have access to an immediate line of credit that allows us to boom or bust in a matter of days (or minutes, or seconds). This has always been a point of contention for regulators here in the US, as the data clearly shows that “bust” is the more likely option. Their job is to protect retail investors, because, well, when retail investors get caught under the bus, whose door do you think they knock on first? I fall into a similar boat. It is not that I enjoy being a Debbie Downer, it is just that I can read and understand basic math and am fully aware of what happens to most people. This blog has been filled with a series of reality checks over time, which, I only post here in hopes of bringing the masses back to planet earth and realize what they are dealing with. 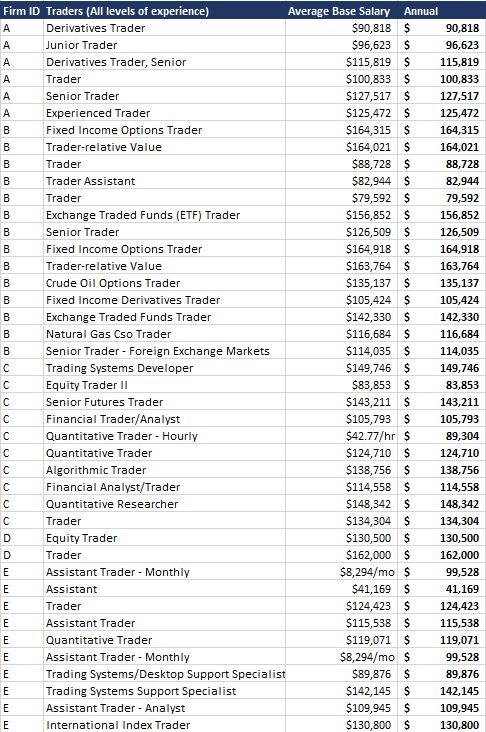 So let’s look salaries of “real” traders, and get an idea of what you can expect walking into the doors of a prop firm (an actual one, not the type that hits you up for cash “margin deposits” other nonsense). When I first started writing this, I was going to include larger scale portfolio managers, in addition to active traders. These are two very different jobs. While they both entail “trading”, the career paths are very different, because the discipline itself, is very different. Prop traders are generally managing short-term positions derived from higher frequency algorithms, quantitative-assistive data, manual triggers, and so on. Portfolio managers are looking quarterly to multi-annually. As a result, the analysis shifts from hypertensive short-term “crowd behavior” (and many other items) to longer-term fundamentals. They both use plenty of data. They both manage risk. One largely leverages the account balance, the other leverages time. Portfolio managers make more money. This is largely because they are capable of managing more cash over a longer horizon versus a prop trader, who is in and out of positions at a much rate of turnover. Prop traders carry far more short term risk, and leverage tends to be dialed down in order to compensate. A good prop trader will make more as a percentage of assets, but likely less money because he/she is realistically incapable of managing the amount of money allocated to a PM. I’m using data from Glassdoor.com. While voluntary, anonymous and open to manipulation, we are looking for a ballpark number. First off, let’s define the job. The job of a prop trader shares the most in common with what you see on the internet in regards to run of the mill daytrading, albeit generally more sophisticated. Traders hired by prop firms are typically (if not just initially) constrained in regards to strategy, which is common sense. The last thing you need are a bunch of rookies arguing over “candle wicks” or any other ridiculous matters. Strategies vary widely. Delta one is commonly employed, along with any number of other strategies of frequency across the board. Many of these prop firms also make markets. They have a book of institutional clients for whom they provide services and traders are often hired in order to execute on preexisting liquidity. Oftentimes, people being hired as traders are doing just that. They are matching orders, either assisted or unassisted around a VWAP or (many) other means for the sake of executing large positions. We are seeking experienced Futures Traders to join our dynamic team at (redacted). The ideal candidate will be a motivated individual with a desire to make an immediate impact at a growing firm. (Redacted) gives all new Traders the opportunity to learn from the most successful members of our trading team and apply their previously gained knowledge and experience quickly. As an experienced Delta One Trader at (redacted), you will leverage your previous market making experience with our proprietary technology to quickly add value to our growing market making business. So the strategy is obvious, but the day to day, less so. This is a mechanical position, no doubt about it, where the job is strictly dictated and the employer is tasked with executing it efficiently, and not messing anything up in the process. Do these things, and you keep your job. Okay, onto the numbers. 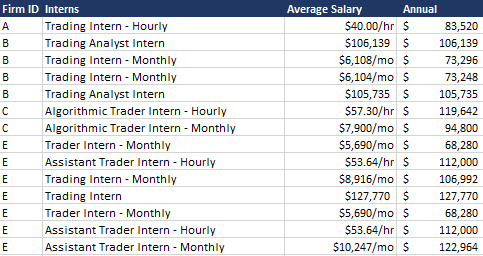 I studied several of Chicago / New York’s top prop firms via Glassdoor.com and scraped the table data, then sorted by three categories: Traders, Analysts/Researchers and Trading Interns. Analyst positions can to lead to trading positions, which is why I chose to include them. Additionally, the lists aggregate salaries of various levels of experience. Lower level employees are more likely to report their salary (I can only assume) because they have less skin in the game. 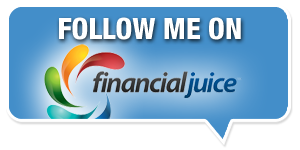 Bonuses are extremely important to consider here. For example, a managing director at Credit Suisse will earn an average $319,249/year. At most of these banks, you can basically double that salary to arrive at your final average earnings. So in the case of Credit Suisse, your average MD will rake in $651,249. Again, this varies wildly based on department and net profit. In the case of prop trading, bonuses are typically less as a percentage. There are many reasons for this, and they vary. The primary one is just P&L, and this is all very important to consider. Averaging these is hard to do, and to make broad assumptions is something I loathe as a trader myself. Like your bankers, bonuses rely on overall productivity, and you receive a cut of what you pull in for the firm. Also like banking, there is less friction in doing this in some forms of trading versus others. I have seen many different bonus structures for prop traders. It is truly difficult to say “this is normal”, but salaries, I can agree, are generally consistent. To be clear, there were just as many technology jobs listed as “traders”. The salaries were very comparable, with the technology-driven positions oftentimes earning more than the traders themselves. This is likely because the firms are also competing with another industry, one which the top firms tend to offer more (with lots of perks). For example, just by walking in the door at at a top 10 tech firm, you’re earning around $110,00 to $145,000/year in an engineering position. These are approximations only based on observed data. The average “software engineer” position at Google will provide you with a base salary of $126,695 and total earnings, after bonus (cash, stock, profit sharing, etc) average to $168,563. To reiterate: for many of these jobs, bonuses are everything. These are base salaries. I could easily go ahead and assume a “conservative” bonus of 25%, but it would be wrong (sorry, I don’t work in private equity…I like facts). So tack on anywhere from 0-300% and your guess is about as good as mine. Around 75% would be my best guess for a good (fair and transparent) firm employing a trader who is actually pulling his or her weight based on margin allocations, the type of trading, etc. Too many variables. On Glassdoor.com, the option is there to toss in your bonus information. I found consistently that only around 25% of these had bonuses attached. It could be because the employee either just didn’t submit it or wasn’t allocated a bonus for any number of reasons. You don’t know. If you work for, or have a history with a similar firm, and would like to throw in your two cents in the comments, or by email, please do so. Names of the firms have been redacted. 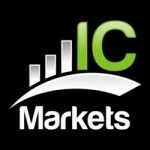 Traders – All levels of experience listed alongside different markets. Titles generally indicate what’s what. 2. 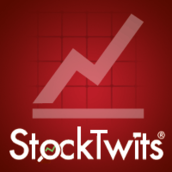 Analysts – Analyst positions can be steeping stones to trader positions, but not always. Some analysts are best kept that way, and are great at what they do. Many receive a form of bonus. So is it worth it? In most cases, absolutely. If you are a solid, data-driven trader with a proven track record then landing a job should not be an daunting task. Have a college degree, needless to say, and stay away from the felony convictions (just joking….well, kind of). There will always be a demand for competent traders. Per certifications (CFA, etc.) this plays more to the large corporate game than anything else. Some jobs even require you to take these exams these days. It is only going to help you look better than someone else from a statistical standpoint, so why not. Humans are highly judgmental and this is how society works. All of these items are typically “wins” in the long-run. I see a lot of people always trying to rush to the finish line in this business. There is no sense in rushing. Futile effort. This is a skill that takes a considerable amount of time to develop and high degree of competence, from many angles. And that’s just it: competence. Really, it is all that matters to anyone looking to make a serious amount of money in just about anything in life. Playing games versus having an actual aptitude for something are two very different genres. The post A List of Prop Trading Salaries: How Much Money You Can Expect to Make appeared first on ParaCurve. Action Forex.com was set up back in 2004 with the aim to provide insight analysis to forex traders, serving the trading community over a decade. "Empowering the individual traders" was, is, and will be our motto going forward..